Distilled from the leaves of the basil plant, this essential oil has an aroma that is described as fresh, sweet, and strong with a light consistency. 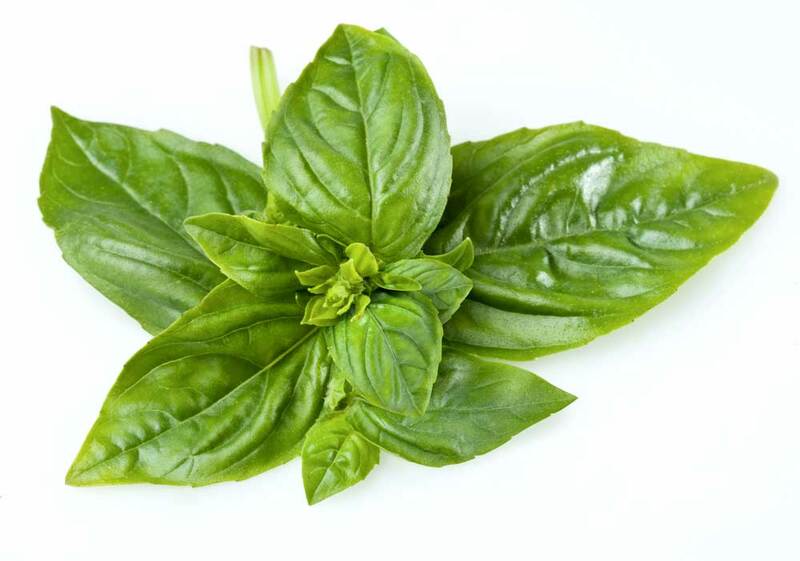 Though the essential oil is used in many applications, the scent of and uses for true basil are commonly associated with cooking. Basil, itself, is an excellent source of calcium, iron, potassium, magnesium, and vitamin A. Basil essential oil blends well with sandalwood, clary sage, lime, lavender, cedarwood, bergamot, lemon, and more. Receive pain relief for and treat headaches, sprains, injuries, scars, bruises, burns, wounds, etc. This essential oil is prized in certain civilizations for its medicinal abilities to bring clarity and strengthen faith and compassion. More commonly, however, it can be utilized to stimulate the respiratory and circulatory system, promote digestion, and clear sinuses. Other health benefits include this essential oil’s ability to treat diabetes, respiratory problems, constipation, indigestion, motion sickness, and nausea. If you are pregnant or breastfeeding, it is best to avoid basil essential oils. The same goes for people who are suffering from epilepsy. Dilution might be necessary because for certain people, this essential oil may be an irritant to the mucous membranes, and the skin.